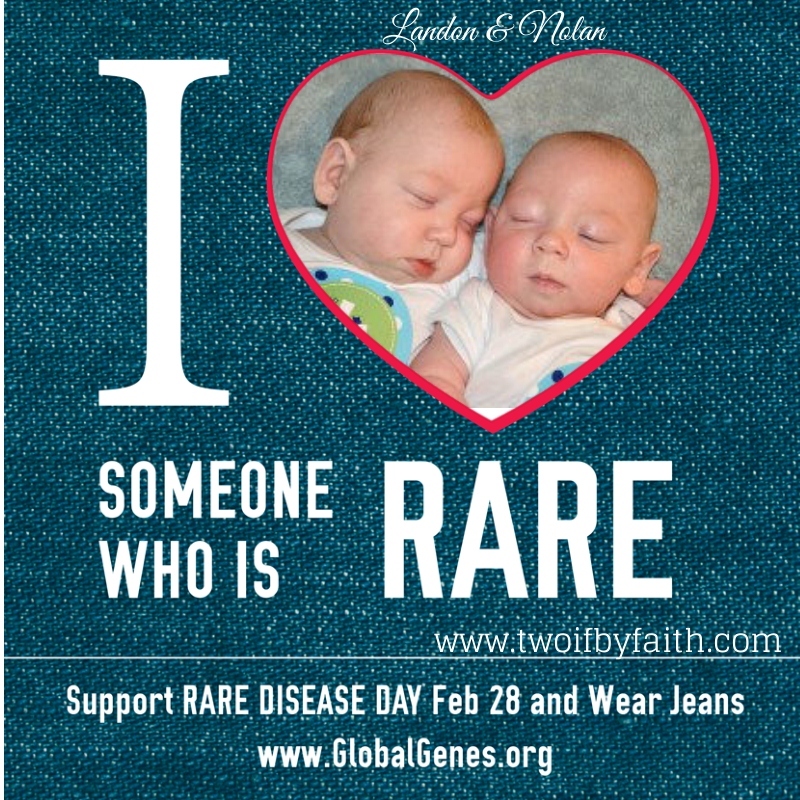 Today is rare disease awareness day, and as you know, our home has been impacted by a rare genetic brain abnormality. But “rare” is irrelevant when it happens to your child. Lissencephaly is believed to occur in around 1 in 100,000 births. Due to the shortened average life expectancy, its prevalence among the population is even more rare. Our boys do not yet fall in to known types of Lissencephaly, so they are in the “other”, unexplained group and may contain a gene mutation shared with few in the world, or possibly unique only to them. Our boys are also identical twins, which occurs in 1 in 300 births. If you combine that they fall in to the 43% of 1 in 100,000 AND are 1 in 300…that comes to 143 in 10 billion births. The current population of the ENTIRE WORLD is estimated to be just over 7 billion. And as alluded to earlier, the active prevalance will be much lower than the birth rate given that the average life expectancy is a far too short two years. You might say these little guys beat the odds just to exist. Here’s to beating the odds for years to come.